This Diamond Oil Deep Facets Mask by Redken is created to strengthen the hair whilst improving radiance, strength and softness. Bringing life back to dull, damaged hair, it's silicone free which means it's nothing but good for the hair. Containing penetrating oils such as Coriander, Camelina and Apricot, it works to intensely replenish to leave your locks looking and feeling as good as new. K.D. I bought this conditioner a Redken stopped making the real control. My hair is fine and flyaway and coloured dark. This condition gives great conditioning adding no extra weight to my hair. Leaves is frizz free and the colour enhancement on my brown hair is noticeable as soon as I have dried it. Great product, people have commented on what good condition my hair is in when I use it. 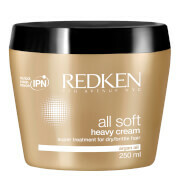 As good as all the other Redken conditioning treatments, I have tried pretty much all the redken hair treatments as they are an excellent product. This one is just as good brings your dry hair back to life. Would highly recommend this product it's made my hair feel so much stronger, smooth & silky! I borought this to help my dry, damaged hair & it's certainly doing the trick! I use 2-3 times per week along with the redken diamond oil shampoo, but leave it in as long as possible normally 30mins plus, great with a warm towel wrapped around also! This is so nice on your hair an leaves your hair smelling great and feeling luxurious. This is a must have product. I use this Mask in combination with the fitting shampoo and conditioner. I have used the Diamond Oil Deep Facets Mask by Redken now twice and it does make my hair nicely smooth, but I had this result also with other cheaper brands. I hope the result will be improving over time. Very nice product, my hair feels soft like silk and shine bright like a diamonds after use. Recommend. 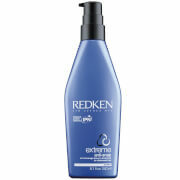 I have been using Redken products for years but this is the best conditioner they have ever created. My long coloured hair is very dry, brittle, porous and seems to resist most conditioners, this cream makes my hair movie star soft glossy and manageable. I can't recommend it enough if you also have hair like mine. probably the 4th time I have repurchased and there has been no reduction in it's effectiveness. will continue to buy this from look fantastic as there service is far above the rest and the prices and offers are always fantastic. I have curly hair which can be difficult to manage and can look dull . As I spend time in the sun and enjoy outdoor sport, my hair gets dehydrated. 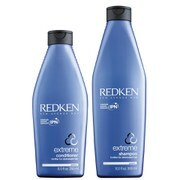 Using this product once a week with the matching shampoo and conditioner ensures I have healthy, soft hair, with Shine! I recommend it for my type of hair.